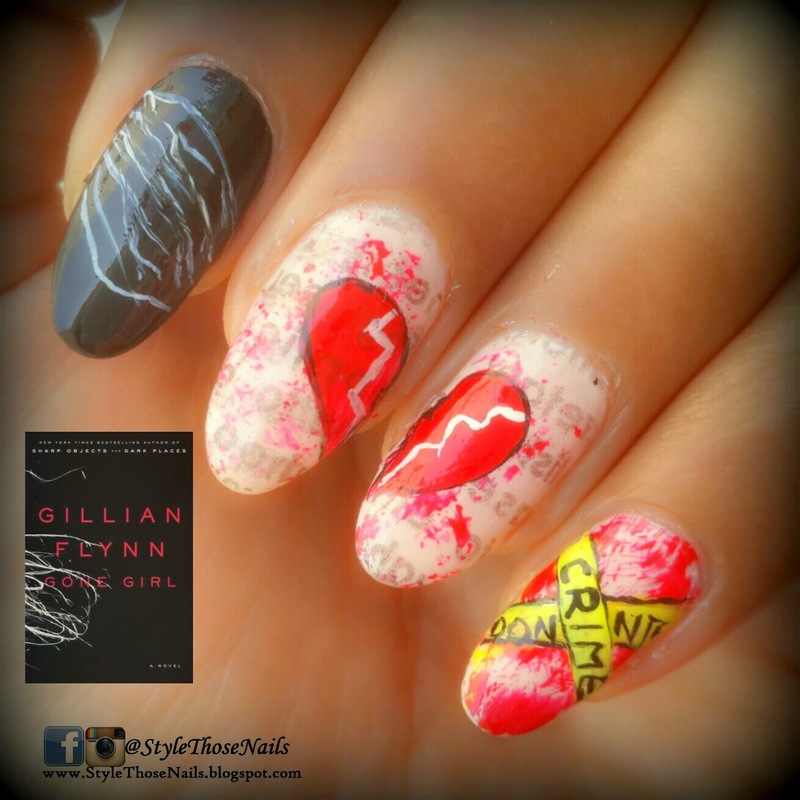 Style Those Nails: Gone Girl - Nails Inspired by Book. Today's nailart is inspired by the book called Gone Girl written by Gillian Flynn. 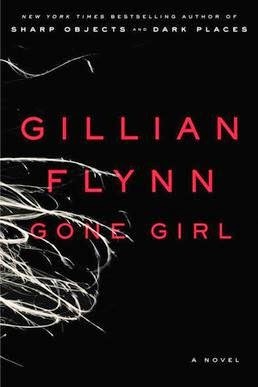 The Polished Bookworms (A facebook group) decided to read this book for the month of march. It is one of the best sellers but it didn't turn out to be my favourite. I love thrillers but somehow I felt that justice was not done. This book revolves around the marriage of a laid off writer couple. Story is well knit and interesting but I think end was not very impressive for me. Anyways coming to nailart I tried to bring out the main theme on my nails. I decided to do paper print on my middle and ring fingers representing the job of main characters. 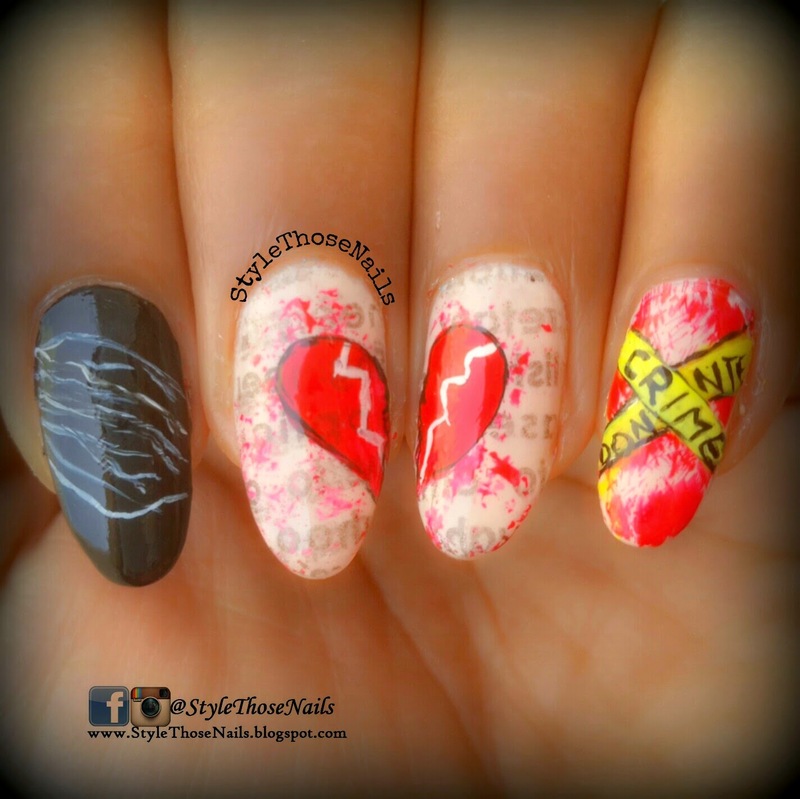 Broken heart represents their broken marriage and blood spots represents the murder mystery. On index finger I did the book cover while on pinky I made crime scene banner. I did enjoying this nailart as it's always a challenge to interpret the story on your nails. 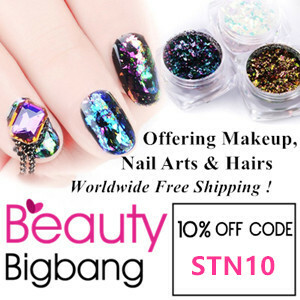 Check out below what other's painted on their nails. Let me know what you think about this nailart? Have you read this book or watched the movie?